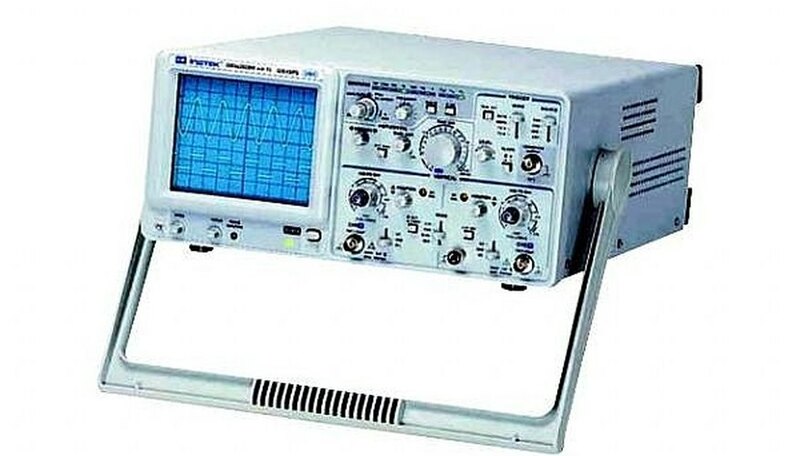 Oscilloscopes have an x axis and a y axis. 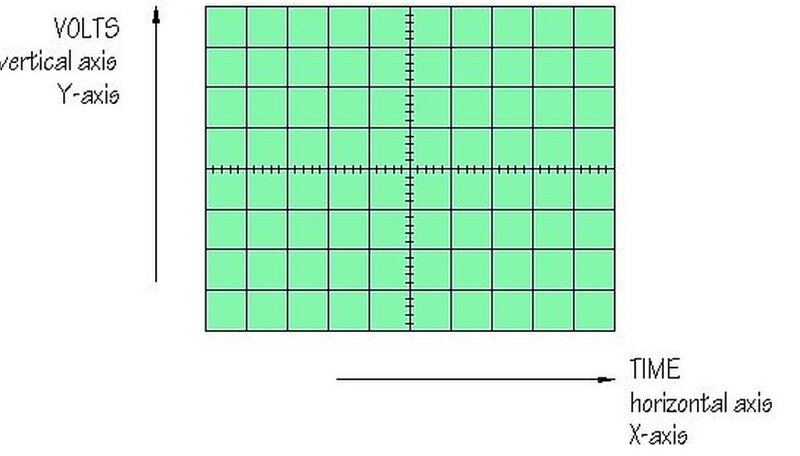 The x axis is horizontal and represents time in seconds (s). 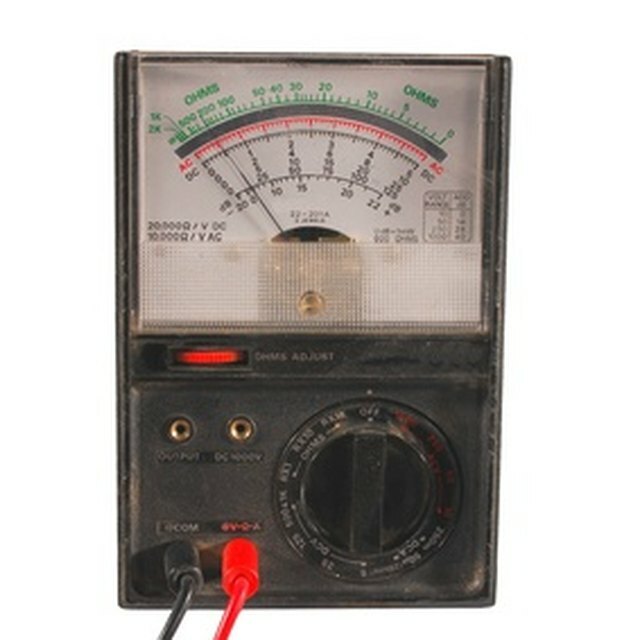 The y axis is vertical and represents voltage in volts (v). First, set all of the buttons and switches to their normal positions. 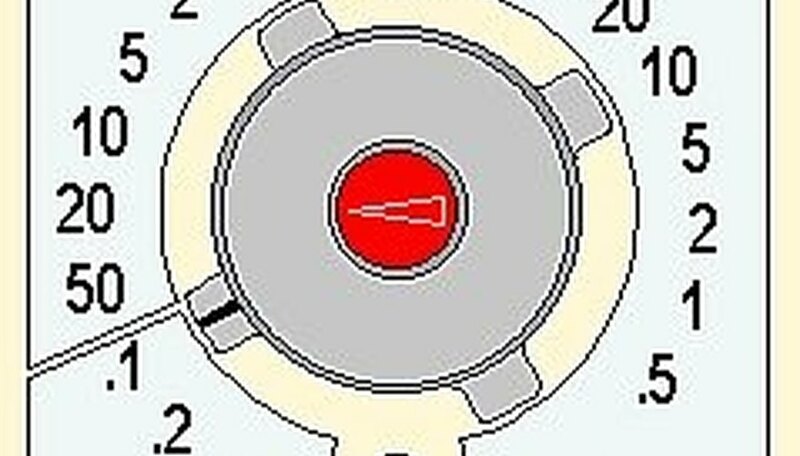 This means, all push button switches should be in the out position, all slide switches in the up position, all rotating dials are centered, and the TIME/DIV and VOLTS/DIV and the HOLD OFF are in the Calibrated (CAL) position. Set the VOLTS/DIV to 1V/DIV. Switch the power to ON. You should now see the trace moving across the screen. Locate the Y-POS control. This will allow you to move the trace up or down the screen. 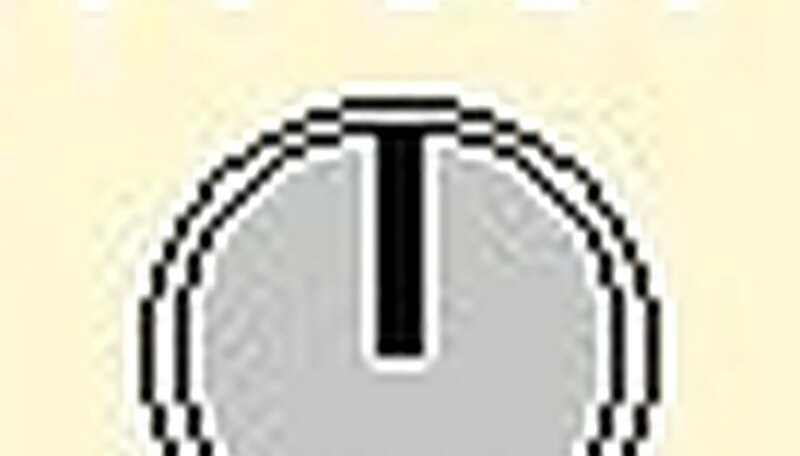 Adjust the trace so that it runs horizontally across the center of the screen. Now locate the INTENSITY and FOCUS controls. These will allow you to control how bright the trace is and whether it is sharp or blurry. The TIME/DIV will control the horizontal scale of the graph. As you change this setting to a smaller number, the trace will move across the screen faster. The VOLTS/DIV control will determine the vertical scale of the graph. Set the control to where you can see the entire vertical motion on the screen. braniac. "How to Calibrate Your Oscilloscope." Sciencing, https://sciencing.com/calibrate-an-oscilloscope-4526145.html. 24 April 2017.